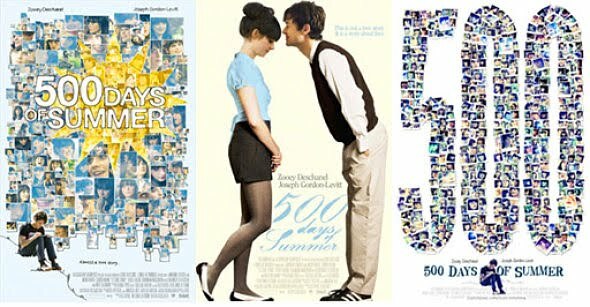 '500 Days of Summer', is a story about a boy called Tom and a girl called Summer. Tom thinks that Summer is 'The One' for him. Tom is a failed architect who now makes a living out of writing greeting cards. That is one job I would love to do. Just imagine the amount of money I would have made if I had put each of my poems on a card. I should have taken Joker's line seriously, 'If you are good at doing something, never do it for free'. Damn it. How I chose creating tariffs and other telecom products for the British over this I'll never know :| . Summer is the boss's new assistant in Tom's office. One look at her and Tom knows that she's his soul-mate. He doesn't have to try too hard to woo her as she soon gets interested in him and so begins their affair. 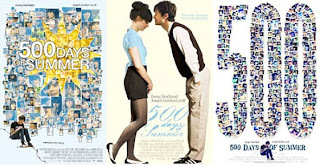 Poor Tom is head over heels in love with Summer, but the lass is in it only for fun because she doesn't believe in commitment and wants to be independent. Tom the love fool, (I'm sure he's a leo in the movie :P)still stays with her because he loves her and he wants to be with her as long as she's around. gosh autumn is always better den summer!!! I watched this movie being bored to death on a flight with nothing else to do, and with zero expectations, and ended up absolutely loving it. Loved your quote at the end. Great blog! Its sure worth a watch the movie..